This is a picture of Lal Baba who is a Saivite (follower of Shiva) sādhu. He was born in the Indian state of Bihar but he stays most of the time in Varanasi (Benaras). I didn’t see him since a few months, no one could tell me where he was whenever I was asking at the ghats so I was happy to see him again a few days ago as I was walking with my friend Rajesh along the Ganges. People call him Lal Baba because he mostly wears garments in red shades, “lal” means red in Hindi. 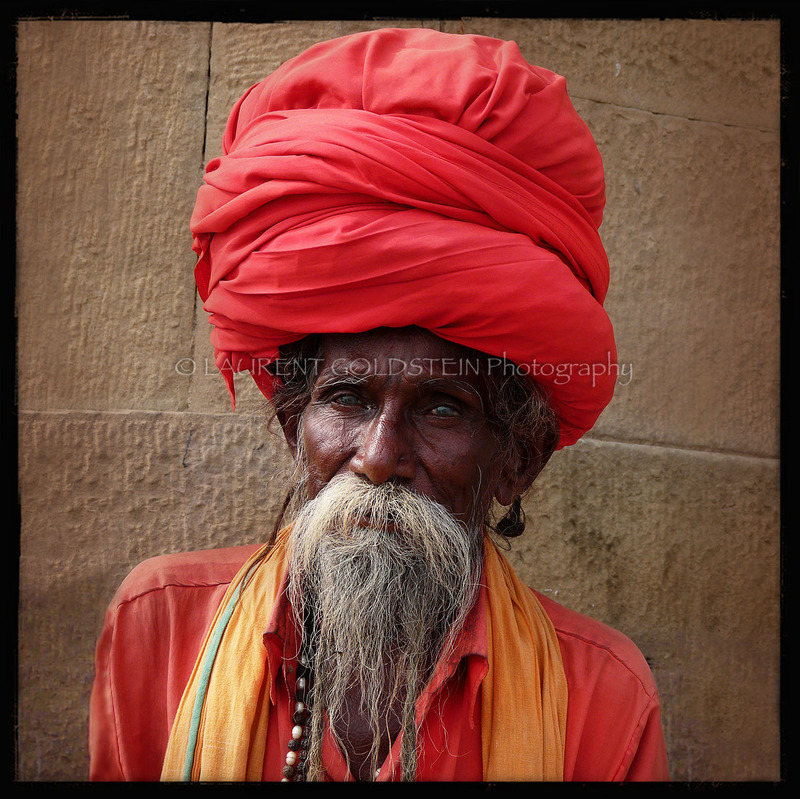 His huge turban keeps a few meters of dreadlocks and gives him an impressive presence. Sometimes people think that he can’t see much because of cataract but in fact his eyes have an amazing deep blue colour. I told him that Benaras is not the same without him and he laughed. 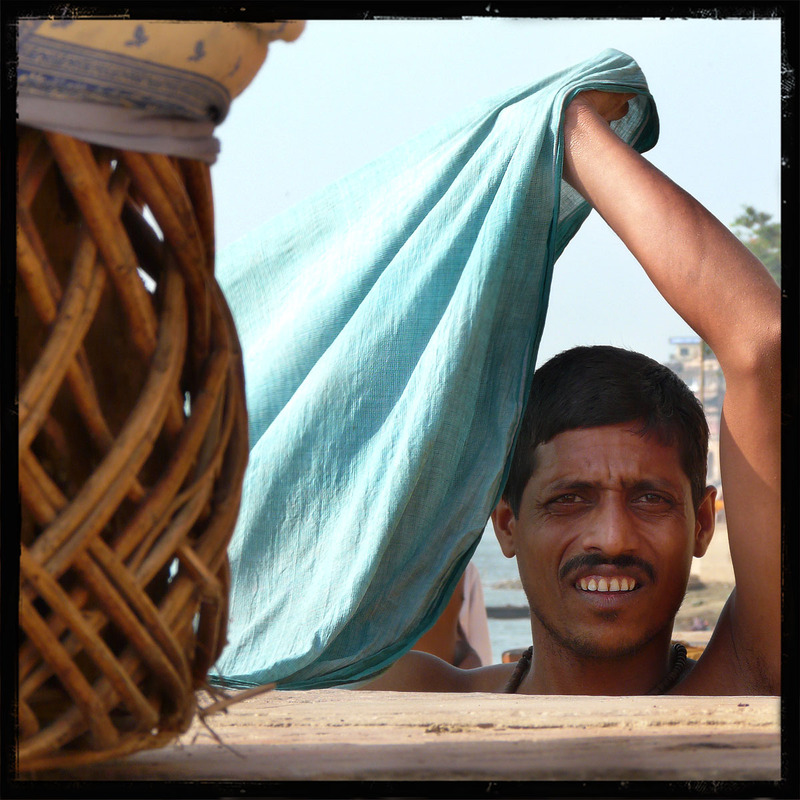 This was shot near Gai Ghat along the Ganges in Varanasi (Benaras) where this man has been washing his laundry. He was streching his clothes under the sun. It was two days ago, I thought that it was uncommon to have such an heat in November. “I searched for God among the Christians and on the Cross and therein I found Him not. This picture was shot along the holy waters of the Ganges in Varanasi (Benaras) where so many things reflect the divine consciousness of human life. 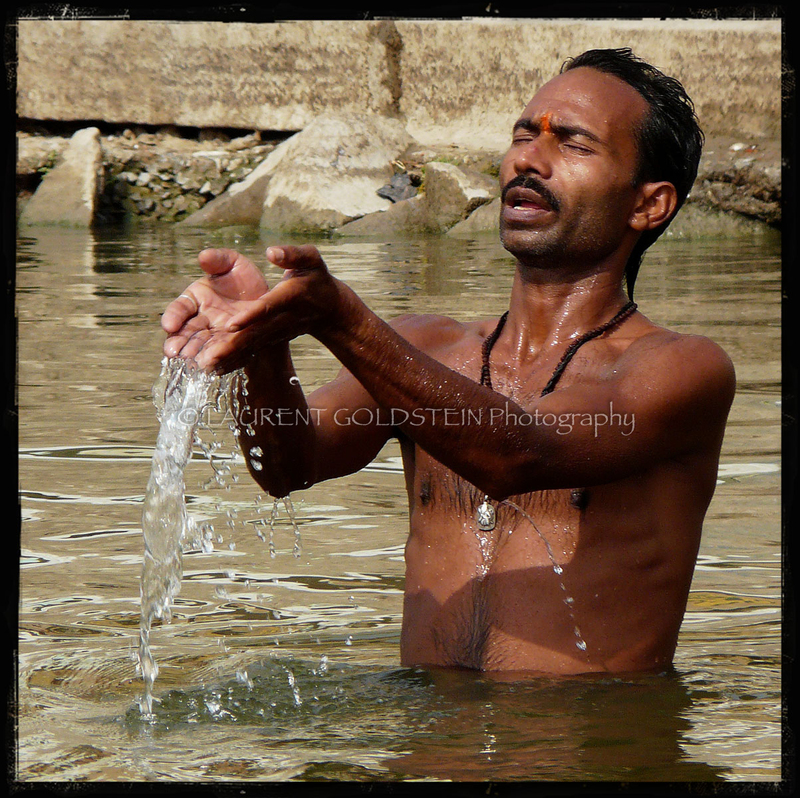 This picture was shot at Ahilyabai ghat along the Ganges in Varanasi (Benaras). This man came to bath in the holy waters with two friends and I made a few shots while they were drying and putting their clothes on. They were happy to be there together, there was something strong all over the place, something that I can’t really explain, I would say that it was a feeling of humanity. I felt that there couldn’t be one without the other, that those men’s humanity was bound to mine and that we could be human only all together. And this was enhanced by that amazing light provided by dusk which is a gift for any photographer who comes nearby the water at that time. They told me that they were pleased to see what I captured when they saw the pictures.